← Quackgrass – who’s in control? 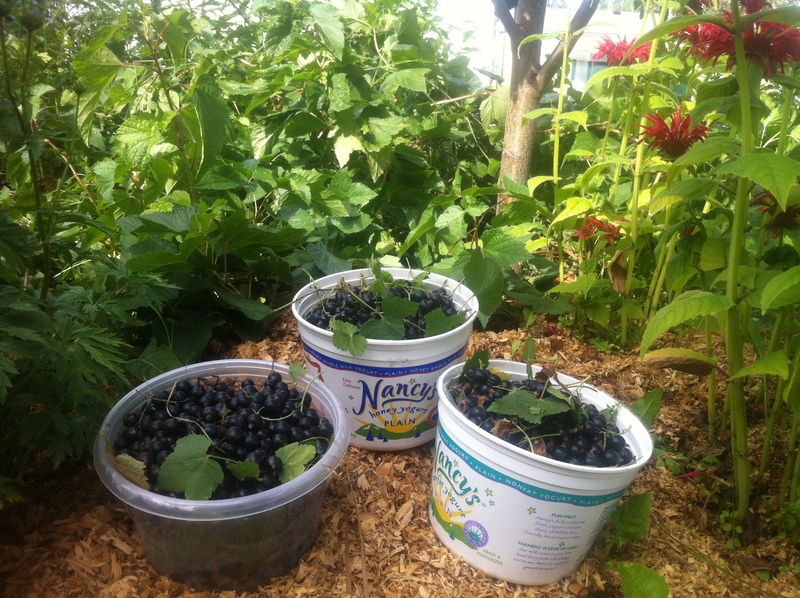 This entry was posted in Alaska Permaculture, local food and tagged Alaska, Permaculture. Bookmark the permalink. Another Michelle amazement! Golden currants grow wild here, but I’m too lazy to go out and pick them. Hope the yeast and soda made alcohol and not glass shards. Keep us all posted! The yeast and juice made soda with bubbles! I did let the first batch in glass bottles sit out a bit long, and upon opening the soda later, some of it got on the ceiling. I finally took the advice of the web and used a plastic soda bottle, which allows me to check the fizziness by the hardness of the outside of the bottle. Chalk this up to one of the things I actually miss from Deutschland– for lazy, un-gardening me, they SELL red and black currents, only when in season, at every grocery store. Feel free to send me some of the fruit leather! I hear that ginchelle is planning to cancel again this year, but maybe not? Ginchelle? The Michelle that stole christmas? I’ll do my best 🙂 But you really should come visit in early august and I can feed you fresh berries. Incidentally, bushes might make it in a shady part of your yard? They don’t like heat, and I’d have to research if they can be cajoled into tolerating your southern climate.